Want to see all the technologies used by business.gov.au? Business.gov.au is an online government resource for the Australian business community supporting science and commercialization, growing business investment and improving business capability, streamlining regulation, and building a high performance organization. It offers a simple and convenient access to all of the government information, forms, and services users need. This government service provides essential information on planning, starting, and growing its users’ businesses. Business.gov.au was founded in 1997 and is based in Australia. 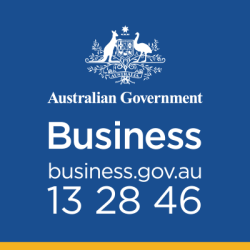 For a quick look at additional technographic info on business.gov.au or any domain on the web, download our Chrome Extension. Check out our help article to see how Datanyze Insider can help you.